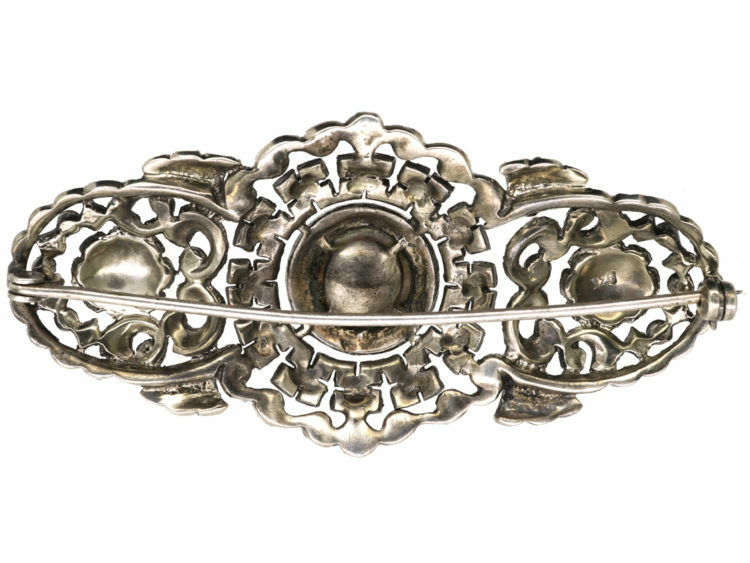 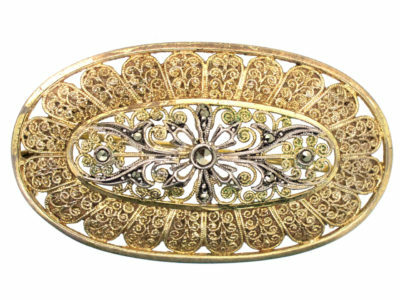 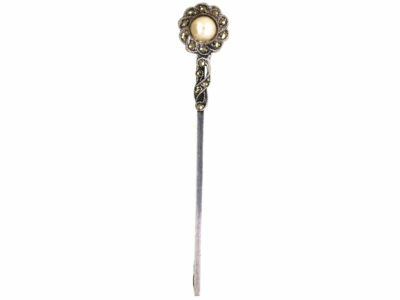 A very pretty silver brooch with pierced work design. 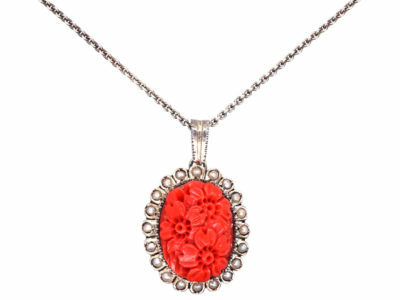 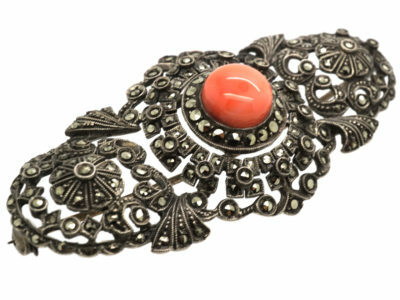 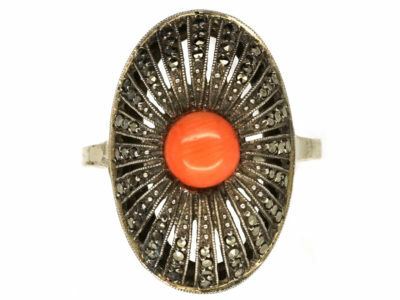 It has been set with a bouton coral in the centre that is surrounded by graded marcasite (iron pyrites) in a floral pattern. 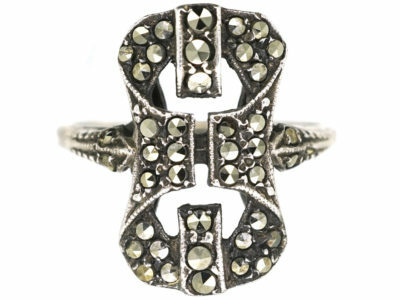 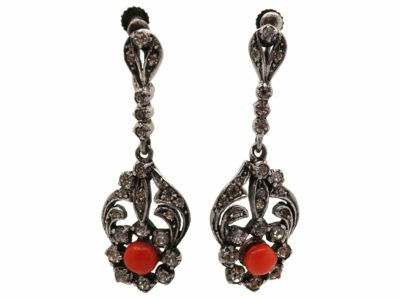 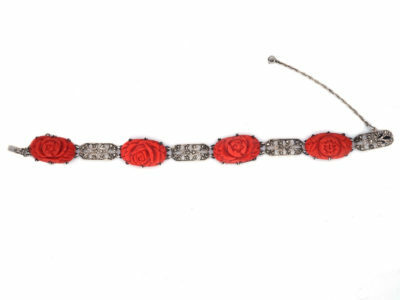 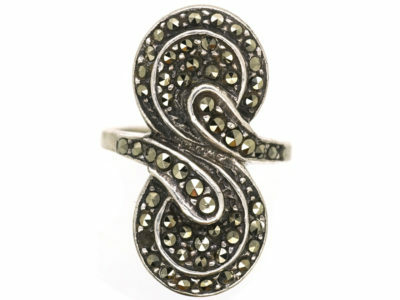 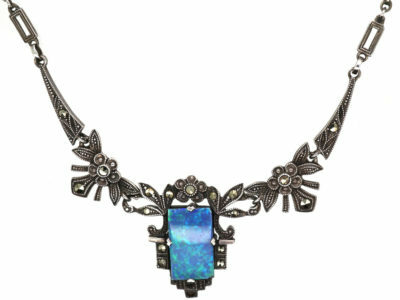 Marcasite was used a lot in the 1920s as it looked like rose diamonds and sparkled, especially in the evening. 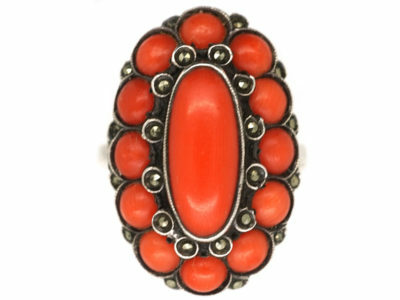 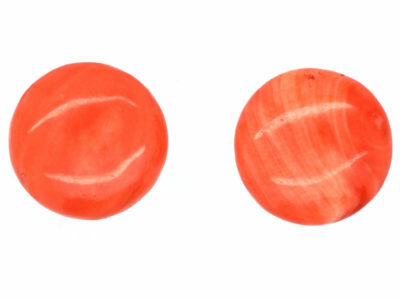 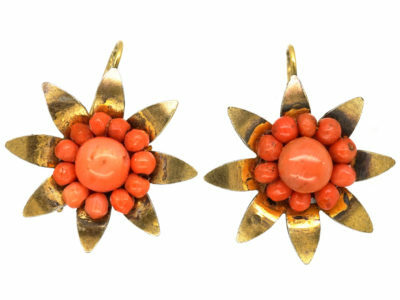 It is a lovely look especially with the bouton coral in the centre.